Brrr ! 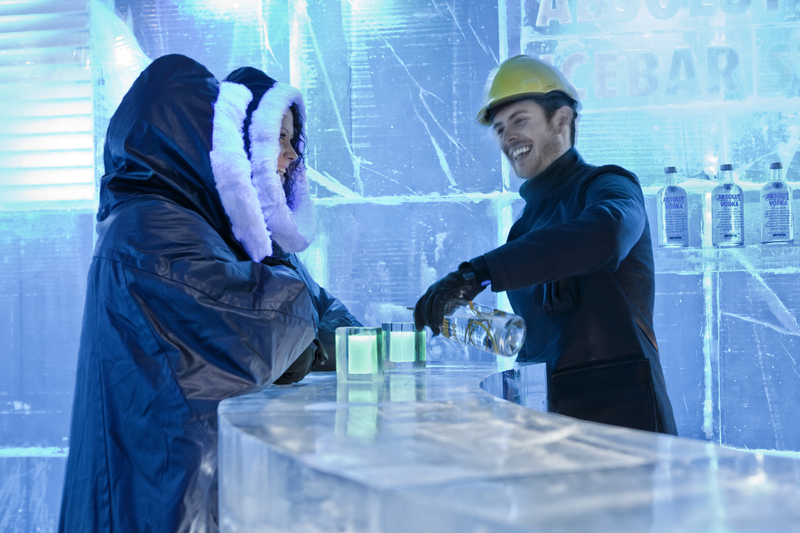 Top 10 coolest ice bars in the world! Frost Bar claims to be the “world’s largest permanent indoor ice bar where the entire surroundings from the walls and bar, to the furniture and drink glasses are constructed of ice”. May we agree? Build with the same ice used during the construction of the famous ice hotel in Lapland, this ice bar is part of a collection of ice bars from the same groups. You will find the other ones in Tokyo, London, Oslo and Jukkasjärvi. You can get married in one of these! More information here. 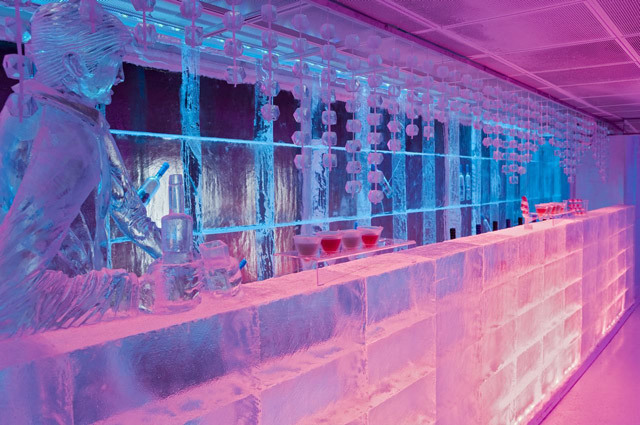 Everything is made of ice; the walls, the bar, the sculptures, the seats and even the glasses. An ice carver re-invents the bar and sculptures every 6-8 weeks. Sculptures can reflect the season, location, wildlife, or even corporate logos and products for private functions. The possibilities are endless. Location : 3131 W. Post Rd, Las Vegas, NV 89118 or Shop 101, Mandalay Place, 3930 Las Vegas Blvd South, Las Vegas, Nevada 89119 (there are two in Las Vegas and one in New York). We know there are many more ice bars and hotels. Do you know any? Share them with us and post your best pictures and favorite places in the comment box below! Join the community and share your favorite places, travel tips, pictures, recipes and music !